Students in the Department of Design at Japan's Tama Art University were asked to create a typeface without using their computers. 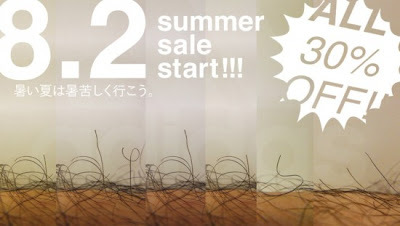 20-year-old Mayuko Kanazawa came up with Leg Hair Font, a complete alphabet in upper and lower cases using human leg hair. The delicate strands of hair, are remarkably whimsical. You can see the font in action as it was recently used in an ad for an Adidas' summer sale.